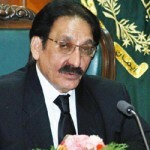 Chief Justice of Pakistan Iftikahr Muhammad Chaudhry took a suo motu notice against his son, Dr Arsalan Iftikhar, on 6th June 2012, on the allegation that he had received Rs. 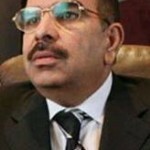 300 to 400 million from the owner of Bahria Town, Riaz Malik. Justice’s son was alleged that he promised to develop a soft corner in the Justice’s heart for Raiz Malik whose cases are pending in the Supreme Court. It is great news and a positive sign that a person who is sitting at the apex level of the apex court took suo moto notice against his own son. The Attorney General and Asma Jahnagir criticism was unwarranted that the Chief Justice ‘being emotional’ should not head the bench. The criticism was pointless keeping in view the fact that the case was not registered against his son. It was Justice Chaudhry’s own initiative to take suo motu notice and enquire about the allegations which appeared in the media. Now he stepped down as the head of the bench and no more part of it. Hopefully, he would not be accused that he used his influence or exert pressure on the bench to get favorable decision. If allegations could not prove, Riaz Malik and his associates, in the PPP government and army, might think that their move fired back. They could not even imagine that the Justice would take suo motu notice against his son and they could malign him and the judiciary in order to get favorable decision in corruption cases. It is a legitimate demand to investigate as to how a clerk has become a Pakistani real estate tycoon in a short span of time. Bharia Town is always in news for various corrupt resaons but yet no concrete action has been taken . Of course, the news is not very good for the sitting President Zardari, Prime Mininster Galani, and National Assembly Speaker Famida Mirza who are reluctant to accept decision of the Supreme Court to write a letter to Swiss Courts against Zardari. The news will not be appreciated by army and ISI leadership who has been reluctant to produce missing people in the court. Under the current corrupt system, the Chief Justice’s action is a new and bright light in the dark. If a few people take actions as the Chief Justice did, it is very likely Pakistan not only be saved but prospers. If the case run in transparent manner, it is likely that it will prove a milestone in bringing change in the system, which has been steeped in corruption.